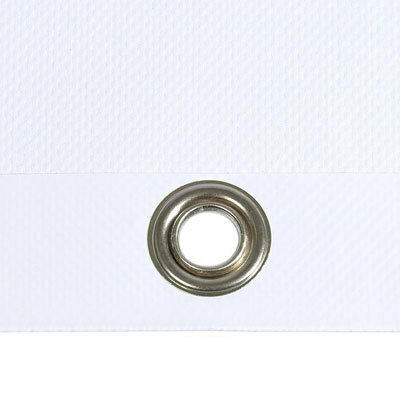 Banner in every size with eyelets and reinforced hem for every possible demand or place to hang on. 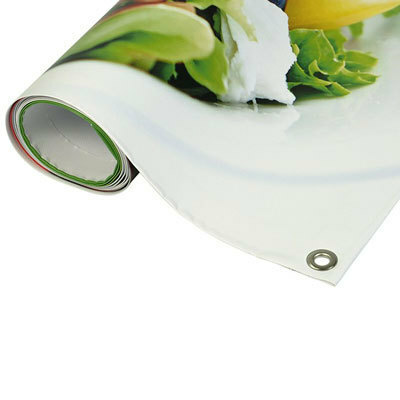 Weatherproof, printed on 500g PVC. 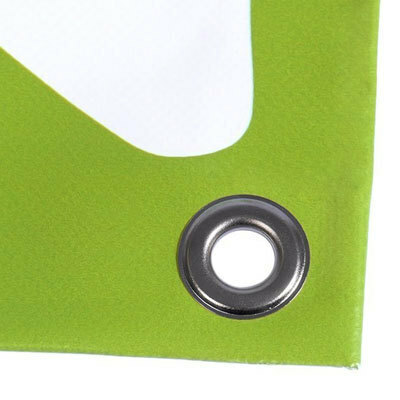 PVC vinyl banner offered in custom size with eyelets, reinforced hem (starting from 2m²) and print according to your printing file. It is easy to mount and suits many uses. 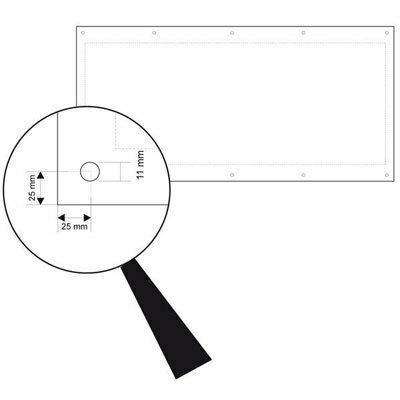 On the product page you can also select a custom manufacturing. 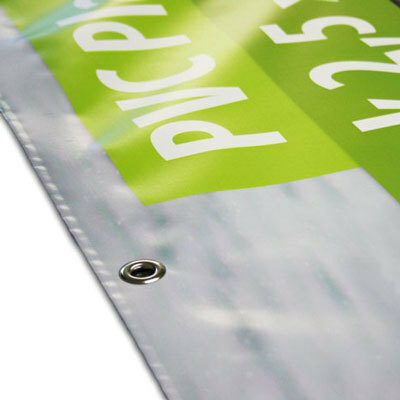 You can use the robust and sturdy pvc banner at almost all places indoor and outdoor. 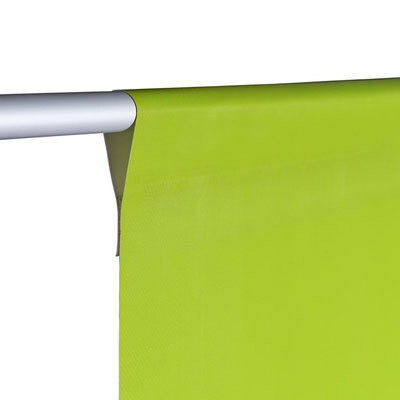 It is weatherproof and the pvc banner material is B1 certificated (fire safety classification). 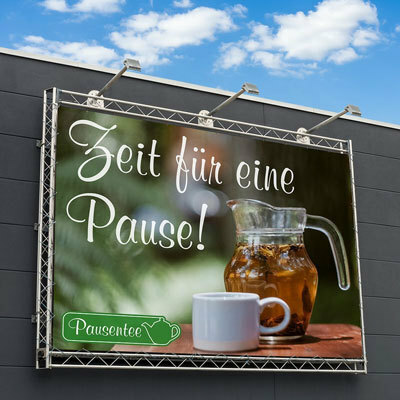 The certification allows to use the large format banner at many indoor events, concerts and trade shows, too. 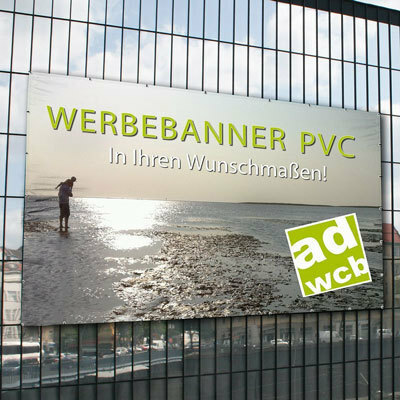 PVC banners are ideal for large format advertising, e.g. 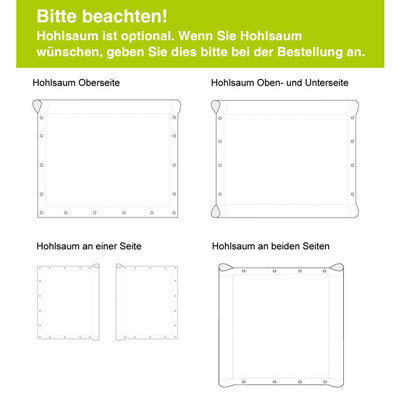 exhibitions, signs for building sites, decorations, stage and shop window decoration. 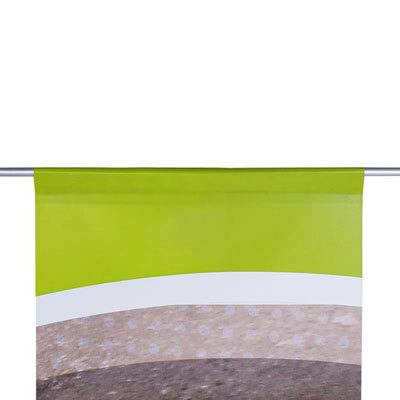 A vinyl banner with printed motif on both front and back side you can find here as PVC banner doublesided.